The assets of the top 10 asset management funds in Bulgaria are down 6.6% in the period March – April, shows data by Profit.bg. The decline is in the amount of 38 mln leva to the current 541.62 mln leva (276.9 mln euros). 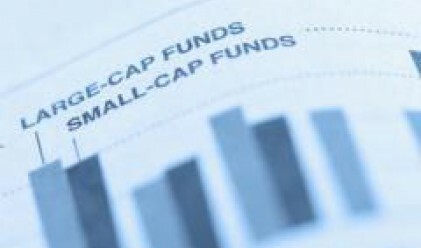 The funds accumulated by the ten biggest collective investment schemes in the country still account for 80% of the total assets of Bulgarian asset management companies. As at the end of April the top 26 of them controlled some 645.8 mln leva (330 mln euros) in assets. There are some changes in the order of the top 10 funds in March. Elana Fund Management continues to lead the chart with assets in the amount of 96.54 mln leva (49.3 mln euros), slightly down from 98.31 mln leva (50.2 mln euros) as at the end of the previous month. DSK Asset Management moved up from third to second position in the chart overtaking Raiffeissen Asset Management. As at the end of April DSK controlled a net 90.3 mln leva (46 mln euros), which is 6.85% down compared with previous month. Raiffeissen on the other hand, saw assets drop 8.62% to 88.94 mln leva (45.4 mln euros) in April. Karoll Capital Management was left forth with assets in the amount of 61.36 mln leva (31.3 mln euros). This is a decline of 11.13% in April. Capman Asset Management is fifth with 53.55 mln leva (27.3 mln euros). TBI Asset Management is sixth with 50.21 mln leva (25.6 mln euros). The fund reported one of the smallest declines in assets among the top 10 schemes – 3.27% (down from 51.91 mln leva). Slight losses were also witnessed by Elana Fund Management (1.8%) and CCB Asset Management (1.92%). At the end of April the later controlled assets in the amount of 17.07 mln leva (8.72 mln euros), pushing Balkan Capital Management down to number 11.